Wayne A. Struebing, age 78, of York, passed away peacefully at home on the farm Monday, Feb. 20, 2017 at York. He was born Feb. 16, 1939 in Aurora, Mo. to Alfred L. and Lila (McBeth) Struebing. The family moved to Nebraska where he grew up in the Osceola/David City area. He moved to York and on June 18, 1961, he was united in marriage to Mary Mann, and to this union they were blessed with two daughters, Julie and Sheri. Wayne held many occupations including meat cutter for Stop N Shop grocery, the Butcher Block, Ideal Café and Dewied Casing Company. 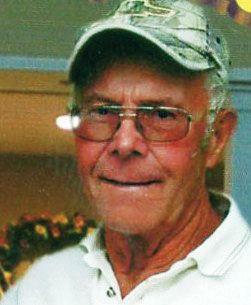 He also worked for Champion Home Builders before going into business as the owner/operator of Struebing Construction. He enjoyed serving the community of York and surrounding areas with his gift of carpentry and homebuilding for 40 years. He also was an avid bowler, loved all sports, playing cards, going to the casinos, traveling, grilling and had a great love of animals and birds. He is survived by his wife, Mary of York; daughters, Julie Archer of York and Sheri (Rodney) Smith of Lincoln; grandchildren, Jodi (Ryan) Hurst of Minden, Jake Morley of Melbourne, Fla., Santana Leyva of York, Dexter Smith of Lincoln and Jayden Smith of Lincoln. He also had three great-grandchildren, Noah Visger, Elijah Hurst and Henry Hurst all of Minden.